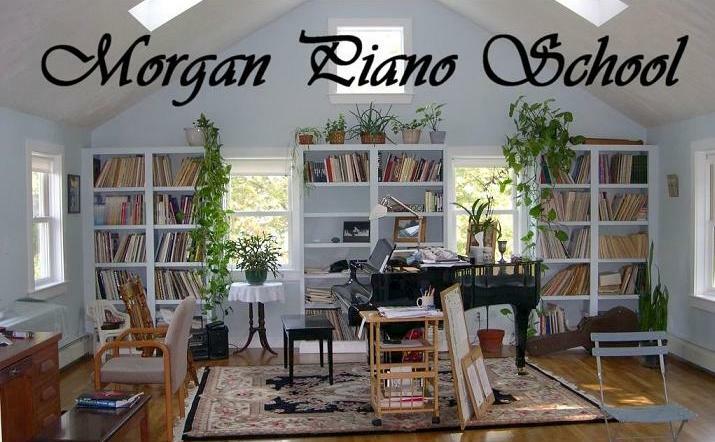 MORGAN PIANO SCHOOL, operating since 1982, provides a complete music education to students from ages 4 to adult. The school, with plenty of parking, is located close to Salem State University in Salem, Massachusetts. Private, partner and group lessons are offered Monday through Thursday during the school year. The school year is divided into three trimesters. There is a special topic of concentration each term such as: sight-reading, composing, ear training, lives of famous composers, music mapping and sight singing. During the summer, students can participate in piano lessons and special projects. KINDERPIANO CLASSES for preschool and kindergarten children ages 4 to 6, are taught in small groups of two or three children organized by age and maturity. Classes are 45 minutes in length. Activities include: dancing, music-history stories, improvisation, duets, music book coloring, ear training, singing, rhythm instrument bands, movement activities, flashcard drills, and, of course, playing the piano. "Dreams are just realities minus the work."